Ask anyone what they would wish for in their kitchen and you can bet your bottom dollar that a larder is going to be in their top three most sought after fixtures. These big, beautiful storage solutions, which started out life in the Victorian era, are fast becoming the stylish storage option for busy homes. And it is easy to see why more and more people are falling in larder love. Their Tardis-like depth is one of their particular attractions. According to designers at leading interiors house Neptune, the best larders are those that go back and back – so much so it feels like you can almost climb in. 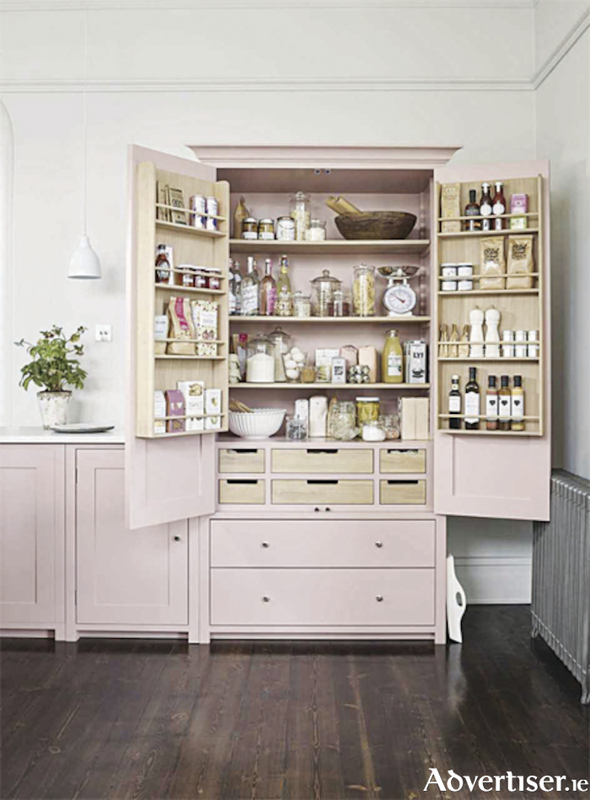 Plus having a space where all your kitchen supplies and condiments are in one place makes them really useful. Larders which have storage racks on the inside of the cabinet doors are brilliant at allowing you to group like-things together. You can put all your spices on them so you have everything close at hand when your are cooking. Or you could turn one of the racks into a breakfast pantry with teas at the top, jams and preserves in a row beneath and boxes of cereal below that. Instead of having to rummage in the depths of dark cupboard you can see all your ingredients neatly laid out before you. Shelves are a given a given but when, as in Neptune's Suffolk, Limehouse and Henley larders, they are on zig-zag brackets, it gives you the maximum amount of flexibility. Oak zigzags are an age old system so they are also a nice nod to tradition. And it seems there is another reason why those who have fallen in larder love are keen to spread the word. They say having shelves of ingredients all to hand in gleaming glass jars and bottles, encourages them to become more adventurous cooks and more accomplished impromptu hosts. Perhaps that is so, but one thing is for sure, it is lots of little things, and having one place to put them, that has earned larders space in our hearts and homes.